The highly anticipated second novel of S.R. 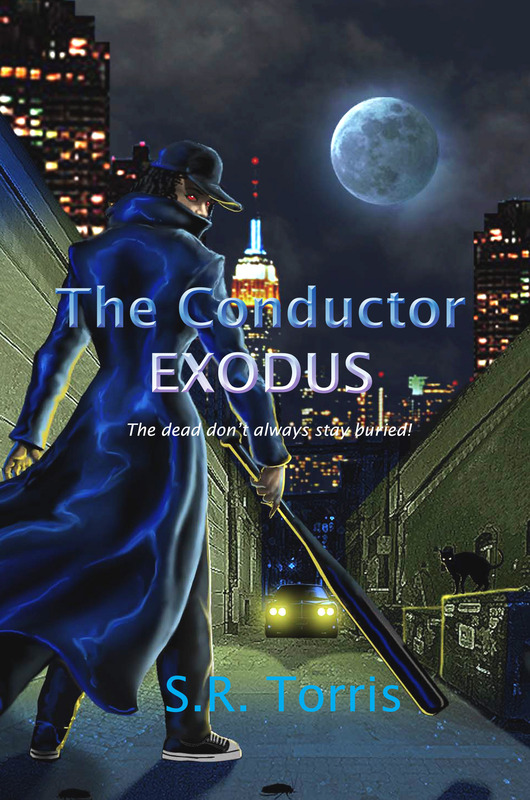 Torris is finally here: “The Conductor: Exodus”. Available only at http://www.lulu.com! The assumed death of Frederick Duval’s secret lover, Jane, sends him on a rampaging mission to destroy every vampire in existence – of course to do this, he must become one himself. 1857: Hep, a slave hand, has a dangerous secret he wants to share with one person, Jane. Paths collide as the suspicious Ramel Jackson, carries a secret that ties him directly to Frederick Duval. The past comes alive converging on the incident that will alter lives forever! And now for a LIMITED TIME*, use the coupon code: AUGUST305 when purchasing your copy of “The Conductor: Exodus” and receive an additional 15% off the cover price. *Offer available only on sales of paperback copy and expires September 15, 2011. This entry was posted in The Pulse... and tagged dangerous secret, S.R. Torris, The Conductor: Exodus, Urban Fantasy, vampire stories. Bookmark the permalink.